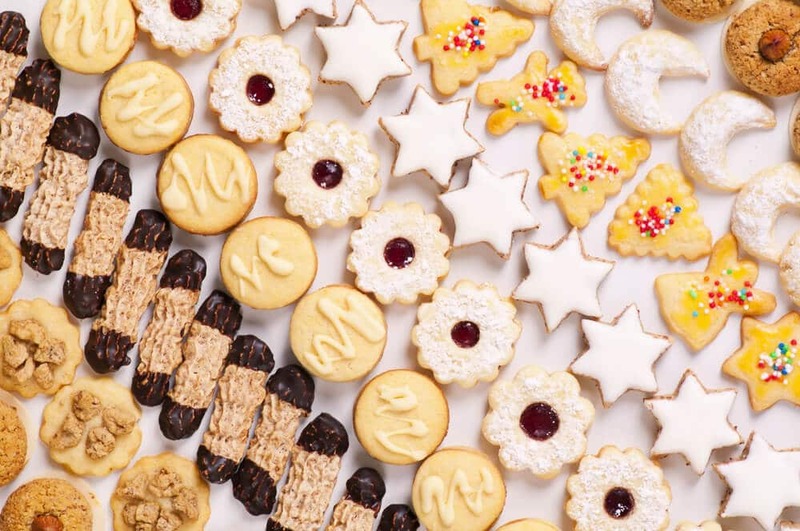 No matter what holiday you celebrate in December, ’tis the season for… COOKIES! I just love a good cookie, don’t you? But if you or your loved ones are gluten-free, dairy-free, or both like we are, it can be challenging to find cookies to make (and give as gifts) that fit your dietary needs and still taste good. So here are 24 delicious, allergy-friendly cookie recipes that are so darned yummy, no one will know the difference! Many of these cookie recipes call for coconut flour (I use this one. ), cassava flour (I use this one. ), and/or almond flour (I use this one. ), so if you’re making a lot of cookies, you’ll want to stock up and get at least a few pounds of each. Coconut flour CANNOT be easily substituted for other flours; it simply will not work. If you need gluten or alcohol free vanilla extract, you can make your own, or buy it here. We hope you have a very sweet holiday!